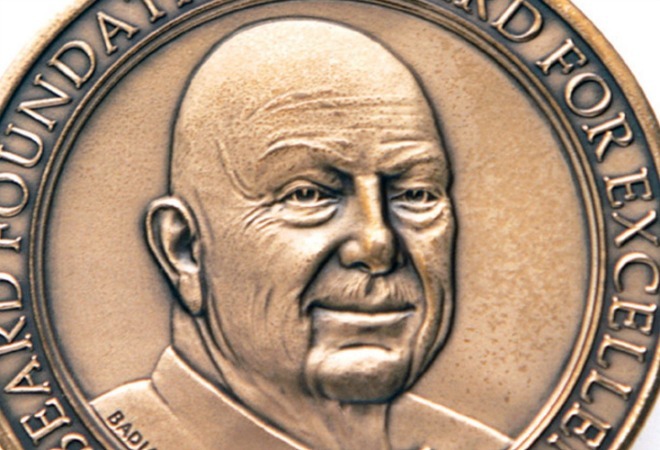 The James Beard Foundation restaurant, chef, and media awards are taking place this weekend in New York City. But even if you aren’t there hobnobbing with this year’s distinguished nominees, that doesn’t mean you can’t have one, say, follow you on Twitter. Or design your kitchen. The Beard Foundation has teamed with the charity online shop If Only to launch the James Beard Shop, where the public can purchase exclusive “experiences” with the foundation’s past and present honorees. Buy a private butchery class and dinner for 12 with April Bloomfield (if you live in New York), score an apprenticeship at San Francisco’s RN74, or even get Michael Chiarello to send you a Direct Message on Twitter. (That last one is $250, by the way.) Proceeds from your purchase will fund the Beard Foundation’s charitable efforts. There are tons of experiences for all your foodie whims, from a farmer’s market tour in Hawaii with chef Chris Kajioka ($1300), to a custom-designed kitchen from Tyler Florence ($45,000). Most of the fun ones are for East Coasters (and the super rich), but there are a few signed cookbooks that even we Angelenos can take advantage of. Explore the experiences here. And best of luck to our L.A. nominees at this month’s awards!